Line up the piece that gets the notch. 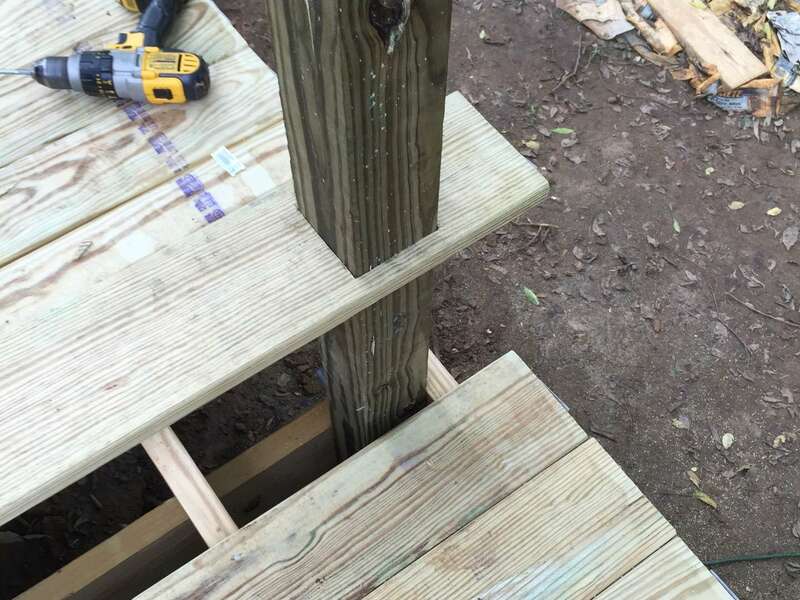 Place a piece of decking on top of the previous piece. 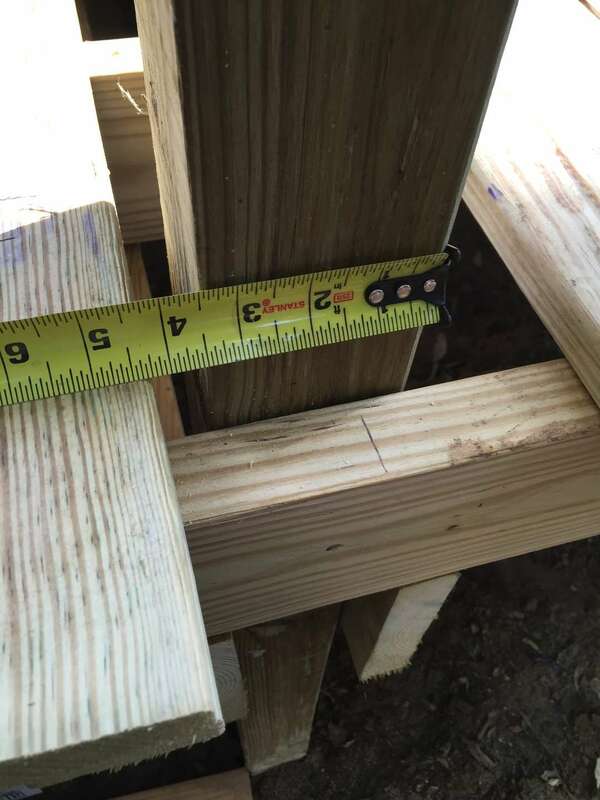 This means you'll have to lay decking as far as you possibly can so you can get as close as possible to the post. 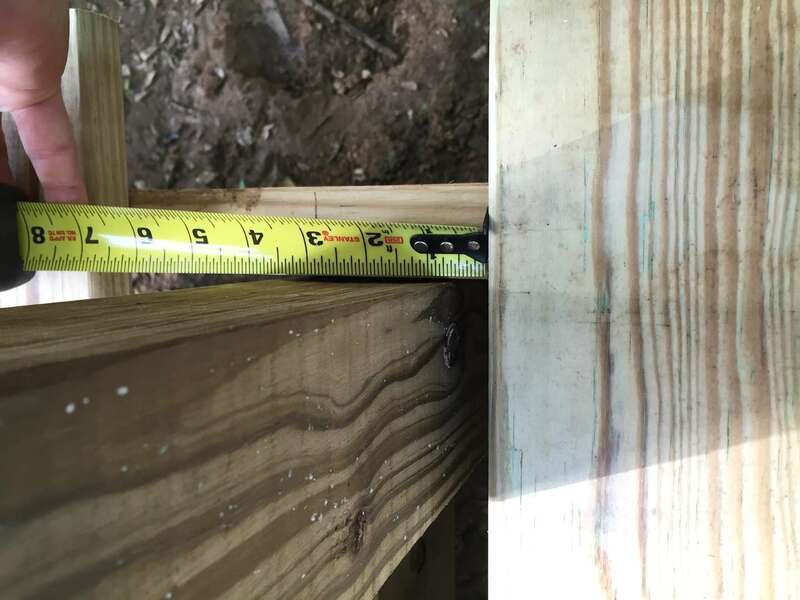 Measure from that board to the closest edge of the post. 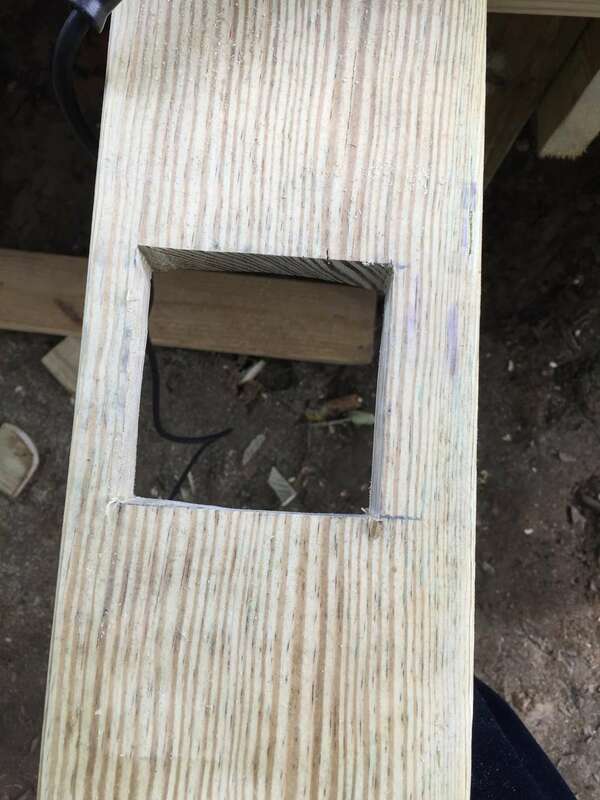 This will tell you how much wood to leave on the trailing edge. Mark the trailing edge of the board at that measurement. 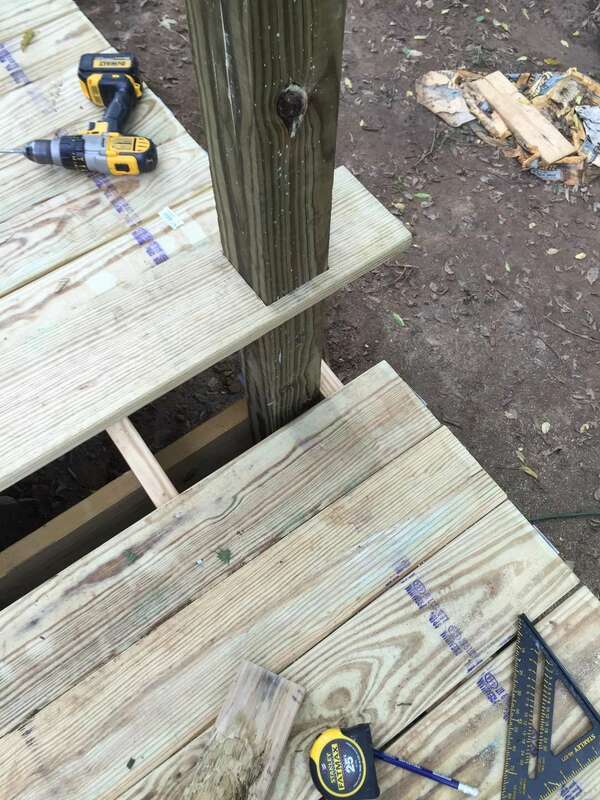 Mark it in two places roughly parallel to the edges of your post. Mark the measurement of the other axis. 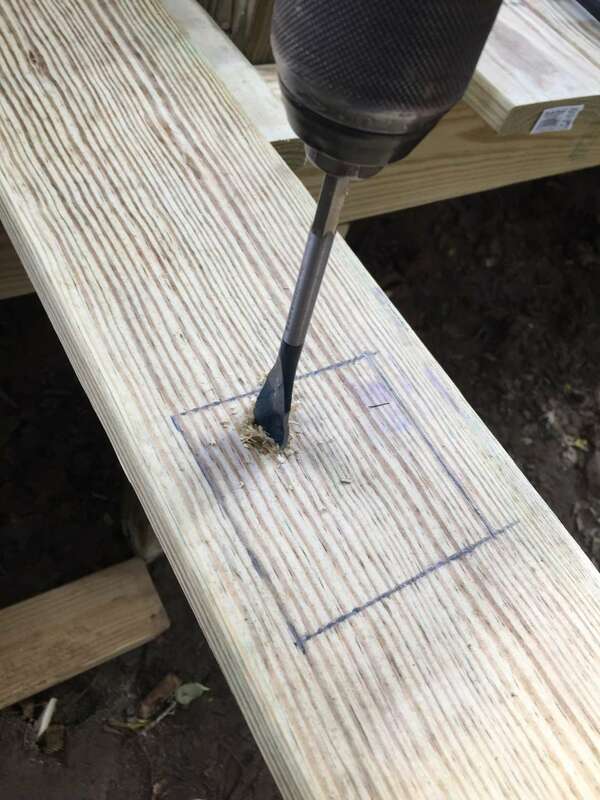 Using a square on the faces of your post, make a mark in line with each side of the post. 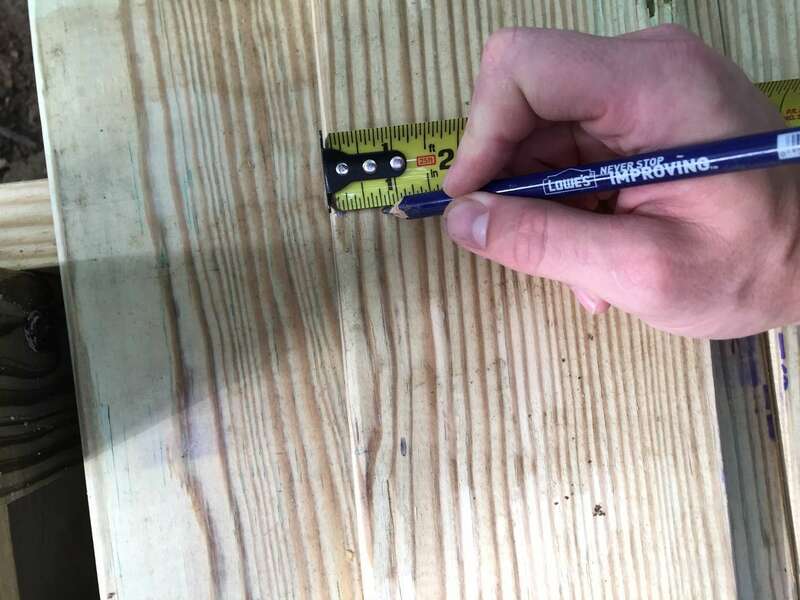 Measure the leading edge of the board against the far edge of the post. 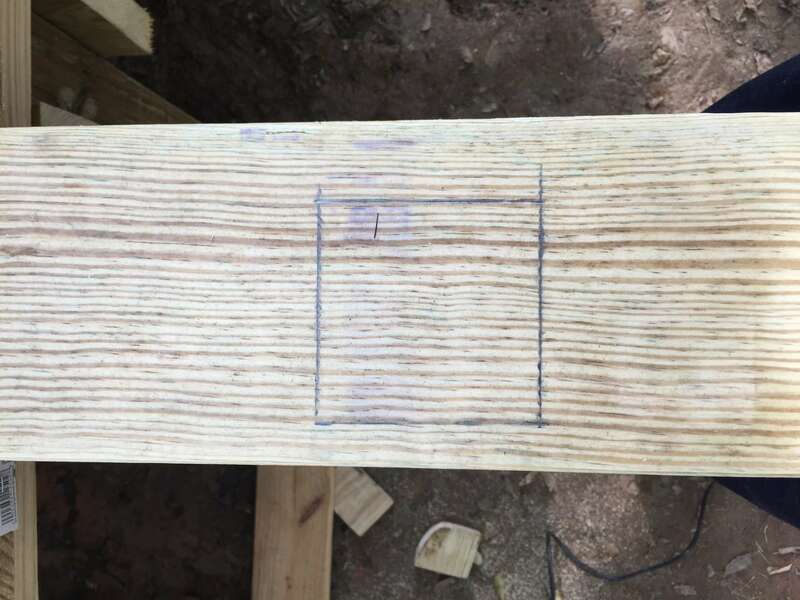 This tells you how much wood will be left on the leading edge of the board. 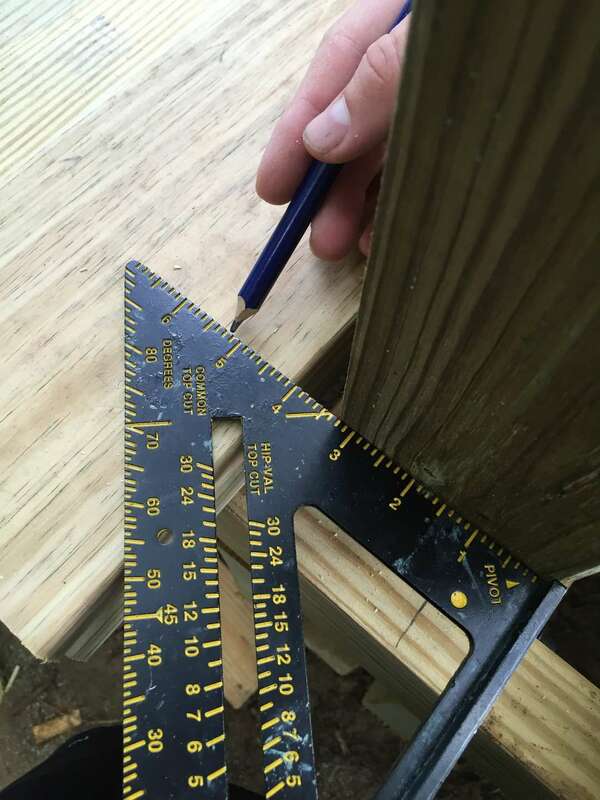 If this measurement is greater than the width of your decking, then you will be leaving the notch open and marking the next board as well. Square the marks all around. 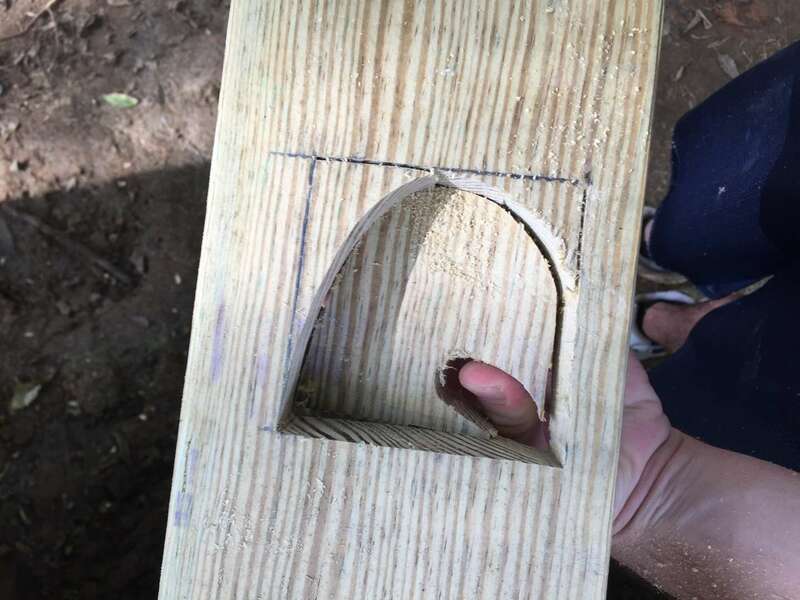 If you're cutting an enclosed notch, drill a hole to get you started, otherwise just start from the edge. 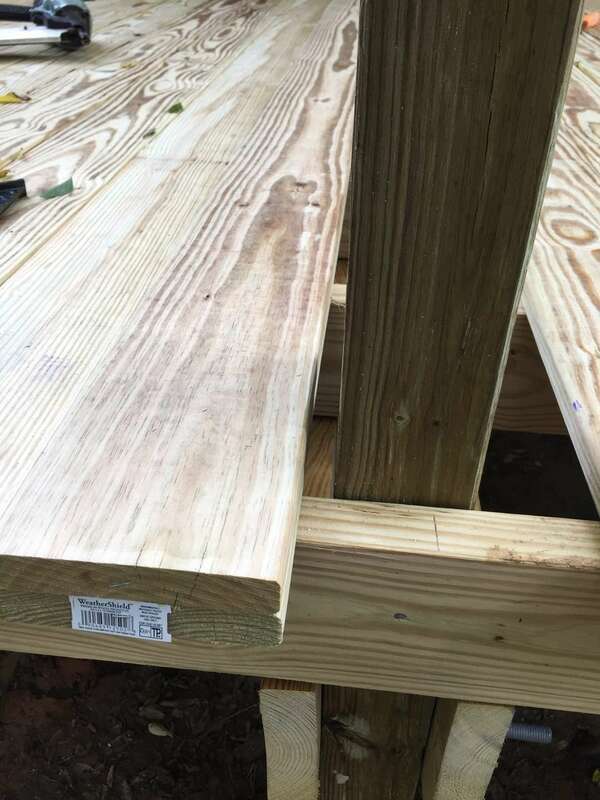 This gets the wood out of the way for your second cut.